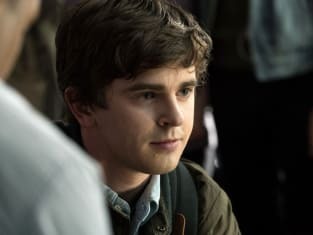 The Good Doctor Season 1 Episode 1: "Burnt Food"
The day that the rain smelled like ice cream, my bunny went to heaven in front of my eyes. The day that the copper pipes in the old building smelled like burnt food, my brother went to heaven in front of my eyes. I couldn’t save them. It’s sad. Neither one had the chance to become an adult. They should have become adults. They should have had children of their own and loved those children and I want to make that possible for other people. And I want to make a lot of money so that I can have a television. I saw a lot of surgeons in medical school. You’re much better than them. I have a lot to learn from you. You’re very arrogant. Do you think that helps you be a good surgeon? Does it hurt you as a person? Is it worth it?